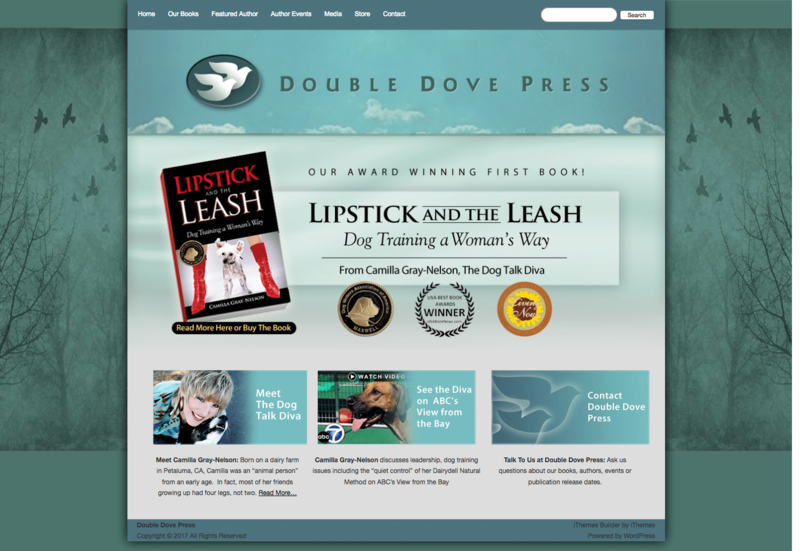 This beautiful website design was done for book publisher, Double Dove Press in Sonoma County, California. We love this design with its poetic background of the birds flying out of the bare trees of winter. Note the hint of clouds in the header, above which the logo flies! One of our favorite WordPress web sites. Nothing too fancy in terms of features here…. but we dug deep into our design background to deliver on this one. Double Dove Press is proud to feature books by women, about women and for women. We are always interested in debuting new authors.